Congratulations on your acceptance to the Summer Scholars Program! We look forward to welcoming you to campus. 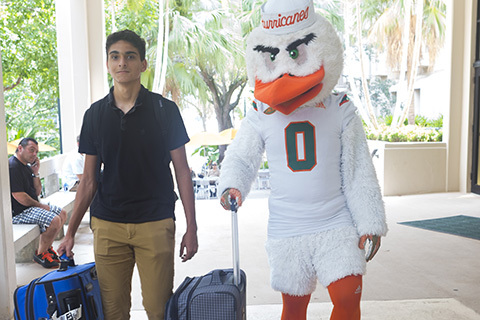 Please read this section for information on the steps you need to take to prepare for your arrival to UM. Get to know Canelink, the University of Miami's student portal at canelink.miami.edu. Once logged in, select "Go to Student Center" to access your academic records, University communications and billing. For more detailed instructions on navigating Canelink, visit CaneLink. Submit the $500 non-refundable enrollment deposit online via the student portal CaneLink. Submit your payment in CaneLink. The program fee is due on June 1, 2019. Fees will be posted to the student's account the third week of April. Students admitted after June 1st are required to submit full payment immediately upon confirming acceptance. Contact the IT department if you are having technical issues: (305) 284 - 6565. 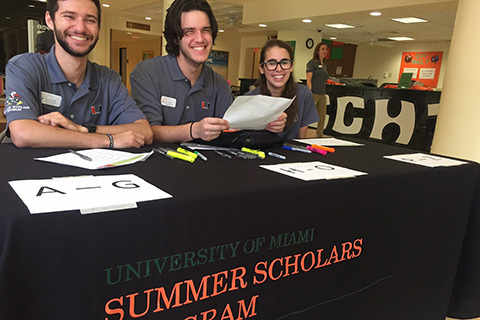 For other questions regarding payment visit Payment Information or contact the Summer Scholars office: (305) 284-4000. Add the following email address to your safe list, to prevent SSP messages from going to your spam/junk folder: ssp@miami.edu. Review the Summer Scholars Student Handbook for arrival and departure information and tips on what to pack. Post Acceptance Forms will be sent by Summer Discovery via email as soon as they become available. Complete and return the Required Post Acceptance Forms by June 15th. Questions? Contact our campus manager at Summer Discovery: 516-621-3939; miami@summerdiscovery.com.